Our entire website www.quadlock.com gets blocked by Malwarebytes as "containing Trojan". I suspect this false positive is due to a Windows-freeware "Unit Converter" that we had published years ago as .exe files (they scan as clean with all other anti-malware) I just removed the .exe files - can you please re-scan, white-list or any other magic to unblock our site? I'd like to request help if possible. GandCrab is a trojan, not a virus. Hello, Block will be removed. I need to be able to see the text. Can you copy and post it? I've been without a third party AV for several years now, relying on Malwarebytes as my primary protection, and while I do generally surf safely, I do actually occasionally press my luck going out into the riskier parts of the web to go 'hunting' for new threats and bad sites to report to the Malwarebytes Research team and even then, I still have yet to get a single infection (not even a single PUP) and the worst thing I've come across so far that actually got through was the occasional tech support scam site (though even those don't get through any more ever since I installed the MB browser extension beta I mentioned; it's very good at blocking those sites). For years I used Kaspersky and later ESET, always with Malwarebytes, but now it's just Malwarebytes and MSE (Microsoft Security Essentials) and it's been that way for the past 3~4 years. After first use of Malwarebytes where 200 PUP files were quarantined, I could not log in to Windows 10. I received "We Can't Sign In To Your Account" message. I unquarantined the files, but no change. I've tried changing temporary login files in Regedit and restarted several times, but system unchanged. Not sure if Malwarebytes responsible, but laptop running fine until first use. 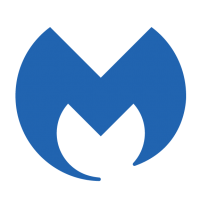 We currently license and use Malwarebytes for Business. One of our security people wanted us to run a scan on an endpoint using the Malwarebyte's AdwCleaner. Would this be a waste of time or does this actually look for and potentially clean up things that Malwarebyte's for Business doesn't? I don't know if this is the case, but from what I understand on the internet, you could try this guide. Malwarebytes can remove the virus from your computer if you want, but your files will stay unreadable or unusable. Neither Malwarebytes or any other soft can give you back your files for now. Your only hope is that you ever had made an backup from it. If no, wait for another solution hopefully. Hi, We scanned our website, and it shows clean. Can you please remove our domain from your blacklist. Here's the detail report: https://scanner.pcrisk.com/detailed_report/moleq.com#details and from Virustotal: https://www.virustotal.com/gui/url/a139abfaeafb1d4017affb5eee7a073b88a1414ba8db922a7bf5735762437d45/detection Thank you! I see you made another topic with the same question again... Maybe you do not understand what happened to your PC. Surely your PC is or was infected with an virus, in this case RansomWare. Ransomware is a nasty piece of software that encrypts all documents, movies, database, music, photo and more on your hard-disk. Meaning that you can not open them or read them anymore. The crooks of this software want you to pay them something like 1000+ dollar, after that they will give you an program that decrypt your files on your hard-disk. Then you can read an open your files like before again, just like nothing happened. If you not want to pay, or not have this money available, then there is nothing you else you can do then WAIT. WAIT until they found MAYBE an decryptor that is free to use without paying money. They are trying there best, but it is very very hard work. So unfortunately for you there is at moment NO SOLUTION, how many topics you open again. You can only wait and hope they will find a solution like the older versions again. And even if you should choose to pay the crooks, you are not sure you get your files back. Juts keep an eye on the pages from bleepingcomputer we showed you. If there is an solution they will make it available and publish it there.